If you’re in the market for a dependable pickup truck that offers a multitude of amenities for an affordable price, you certainly can’t go wrong with a new pickup like the All-New RAM 1500 or RAM 2500 from Stanley Chrysler Dodge Jeep Ram Brownfield. We offer a large selection of pickup trucks under $50k that deliver in features and performance, so you’ll never feel like you’re settling. Take a look at our inventory below, then set up a test drive so you can get a feel for your perfect pickup. No matter which one you choose, either one is ready to help you with your hauling and towing needs around Lubbock. 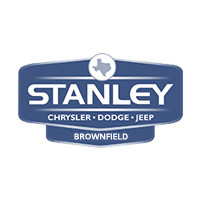 Check out our ongoing specials, and explore your options today at Stanley Chrysler Dodge Jeep Ram Brownfield.